The real truth behind 'American Honey' isn't what the film's creative team expected. Did anyone ask for a 162 minute version of Carpool Karaoke? “American Honey [Blu-ray + Digital HD] ” isn’t a nonstop crush of tunes like you see on James Corden’s “The Late Late Show.” The film’s insistence on making us watch stoners sing their hearts out is emblematic of the film’s critical flaw. It pretends that textures, sights and sounds can make up for a dearth of rock-solid storytelling. Impressive newcomer Sasha Lane stars as … Star, a young woman desperate for change. She finds it when she meets Jake (Shia LaBeouf), a charismatic salesman who peddles magazine subscriptions with a gaggle of stoners. Star decides to join Jake’s crew, run by a stone-faced beauty named Krystal (Riley Keough). Together, they smoke pot, dance, sing (and sing … and sing). Oh, and they occasionally sell magazines while dressed like extras from a “Scared Straight” video. The impressionable Star falls hard for Jake, but can he be trusted with her heart, or anything else, for that matter? 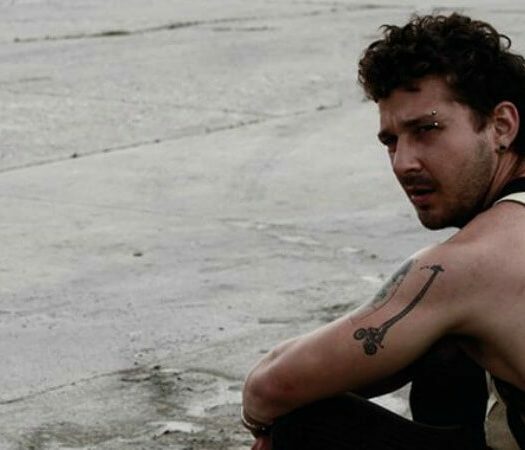 DID YOU KNOW: Shia LaBeouf got 12 tattoos during the production of “American Honey,” including two of rapper Missy Elliott. British director Andrea Arnold (“Fish Tank”) may be trying to say something about the U.S. circa 2016 with “American Honey.” Arnold delights in capturing how sneaky Jake’s sales pitches truly are. The story takes multiple cheap shots at Christians while reserving judgment on its hedonist antiheroes. Her camera captures the country in a way that hardly resembles a Norman Rockwell canvas. Yet “American Honey” is far better at suggesting the breakdown of the nuclear family. Star’s parents are no longer around, their absence barely explained. And it’s a safe bet Jake and co. don’t break bread with their extended broods each holiday season. That leaves them clinging to Krystal’s dysfunctional clan, a way to make ends meet and connect with someone outside of themselves. The film’s running time is absurdly long. We’re treated to many sequences without payoff, emotional or otherwise. Those sing-a-longs are a rush initially, capturing the swagger of youth. By the fourth “number,” you’ll be begging them to stop. We never really get to know Star’s gang beyond the random wrestling match and trou droppings. There’s some blather about dreams, but it’s never plugged into anything beyond a flirtatious talking point. The dangers found in real life “mag crews” is barely mentioned. The less said about the film’s massive plot holes, the better. Lane shows real promise here all the same. 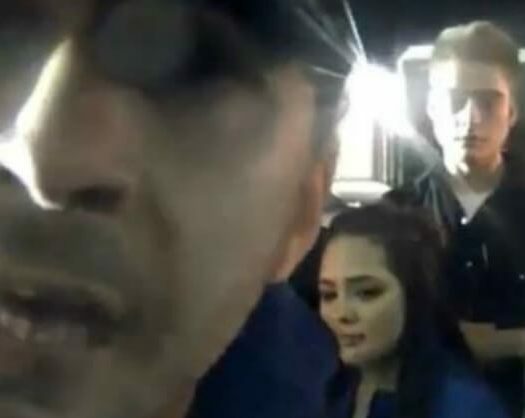 Her lovely face captures the hurt and confusion Star experiences during the journey. There’s never a manufactured glance, an artificial tic to shatter the spell. Then again, Arnold’s entire cast feels authentic to the core. That goes for LaBeouf in one of his best performance to date. He may be a bit too old for Jake, but his baby face and endless moxie lap those concerns. Keough’s Krystal is mesmerizing. She barely changes her expression, but you know with a glance not to cross her. All those potentially intriguing elements simply go to waste in “American Honey.” Characters arcs are nonexistent. Sequences brimming with wonder end with a whimper. When the end credits start you realize the film was one gorgeous con. “American Honey [Blu-ray + Digital HD] ” offers just one extra goodie, a short interview feature with Lane and Keough. We get little in the way of production reveals, only some harmless anecdotes about their ties to the project. Will Shia LaBeouf’s Trump Hate Save His Career?